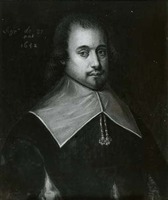 BOURGEOIS, JACQUES (Jacob), surgeon, colonizer, founder of Beaubassin; b. sometime between 1618 and 1621 in France, probably at Couperans-en-Brie (department of Seine-et-Marne); d. 1701 at Port-Royal (Annapolis Royal, N.S. ); founder of the Bourgeois family in Acadia. Before leaving France, Bourgeois had entered the medical profession. He came to Port-Royal in 1642 with 18 families that Governor Menou* d’Aulnay brought with him on one of his voyages. Bourgeois’ father, also named Jacques, was an army officer at Port-Royal and was the brother-in-law of Germain Doucet, Sieur de La Verdure, Aulnay’s assistant. In 1654 Sedgwick* seized Port-Royal, and as by the terms of the capitulation soldiers were to be repatriated, Jacques Bourgeois senior returned to France; his son remained in Acadia, where he became the ancestor of a large number of descendants. In 1643 Bourgeois had married Jeanne, Guillaume Trahan’s daughter, who was born in France in 1631; they had ten children, seven girls and three boys. At Port-Royal, Jacques Bourgeois became a farmer and shipbuilder. 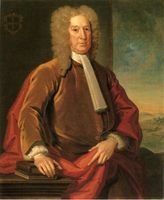 He traded with the Bostonians, particularly with John Nelson and William Phips*; he learned their language, and was the interpreter for the French in their dealings with the English. 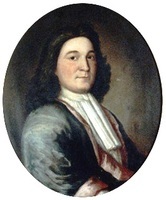 In 1672 he sold a partof his holdings at Port-Royal in order to settle, with his sons Charles and Germain and two of his sons-in-law, in the Chignecto Basin, thus becoming the first promoter of settlement in this region; he built a flour-mill and a saw-mill there. A few years later, in 1676, the region was made into a seigneury, the holder of which was Michel Leneuf de La Vallière (the elder), a nobleman born at Trois-Rivières; the new fief, 100 square leagues in extent, was named Beaubassin. As La Vallière brought in settlers and indentured employees from Canada, two distinct establishments adjoined each other at Beaubassin; but a clause in the title to the land grant protected the interests of Jacques Bourgeois and the other Acadian settlers established on the domain; it was not long before the two elements of the population merged into one. The Chignecto region provided Jacques Bourgeois and the whole settlement with fertile marshes, and high ground suitable for farming. The Shediac portage was an important relay station in the sea communications between Acadia and Canada and a strategic position commanding the isthmus and Baie Française (Bay of Fundy). By the time of the expulsion of the Acadians, Beaubassin had become one of the most prosperous places in Acadia. The distinguished colonist had settled at Port-Royal again before 1699; he died there, an octogenarian, in 1701. The family name was perpetuated by two of his three sons: Charles, born in 1646, who married Anne Dugas in 1668; and Germain, born about 1650, who married his first wife, Marguerite Belliveau, in 1673 and his second wife, Madeleine Dugas, in 1682; the third son, Guillaume, left only a daughter. AN, Col., C11D 3, f.191. Coll. de manuscrits relatifs à la N.-F., I, 149. Recensement de l’Acadie, 1686 (BRH), 681. Placide Gaudet, “Acadian genealogy and notes,” PAC Report, 1905, II, pt.iii, 1; App. A, 1; see also his Notes généalogiques (preserved in PAC and the Archives de l’université de Moncton), and his studies in the Évangéline (Moncton), 5 Feb. and 10 Dec. 1942. Arsenault, Hist. et généal. des Acadiens, 61–63, 361. Rameau de Saint-Père, Une colonie féodale, I, 167–69, 171–72, 175; II, 335. Clément Cormier, “BOURGEOIS, JACQUES,” in Dictionary of Canadian Biography, vol. 2, University of Toronto/Université Laval, 2003–, accessed April 26, 2019, http://www.biographi.ca/en/bio/bourgeois_jacques_2E.html.